Popular Home Remedies for Getting Rid of Toenail Fungus – Is It Worth It? If you are suffering from unsightly nails due to toenail fungus, you are probably wondering if there are any popular home remedies for getting rid of toenail fungus. There are many treatment options for this condition, but… are you too embarrassed to either visit your doctor OR go into a store and purchase actual products? Let’s read on about some of the more popular home remedies for curing toenail fungus! If you google treatments for toenail fungus, the results can be staggering! You will spend hours just trying to sort through all of the different nail fungus home remedies before just randomly picking one to try at home and you will probably be pretty disappointed 3-4 months later to find that you just wasted your time AND money! Many of your search results will claim that they produce “proven” results utilizing dangerous, chemical household items not marketed for the treatment of toenail fungus. Others will produce products classified as “supplements” that are loosely regulated by the FDA. Some of these may be capable of killing SOME fungi, but all of these results are just companies fighting for your hard-earned dollar. As a practicing podiatrist, I have seen it all! You can read more about me HERE. My goal throughout this site is to educate, educate and educate more! I have the hands-on experience to provide you with accurate information to in-turn make informed decisions regarding your health! Natural, herbal remedies for toenail fungus. Let’s discuss each of these in greater detail. Here, I will briefly review some of the more popular household items that people utilize to try and get rid of their ugly toenail fungus and then I will explain to you why attempting these treatments are a waste of your time. I did feel the need to eliminate some of the less common items that I have heard about patients using, such as turpentine (yes… I had a patient that used turpentine), for space sake! Chlorine Bleach – Believe it or not, people do soak their feet in chlorine bleach in an attempt to achieve fungal free toenails! 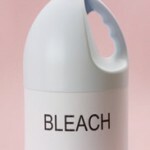 Chlorine Bleach is a hazardous chemical that is corrosive and can damage any skin that it comes into contact with. Patients mush also watch inhaling the strong fumes and eliminate the bleach from coming into contact with the eyes!!! Beer – Yes… I said beer! Most people will mix beer with acidophilus and white vinegar and then soak away! Apple Cider Vinegar and/or White Wine Vinegar – These soaks over time can actually cause your nails to become more sensitive! 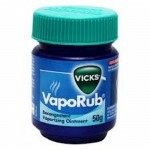 Vicks VapoRub – This is marketed as a topical analgesic and cough suppressant; however, this is widely used to treat nail fungus! HealthConsumerReviews.org even did a consumer survey on this one. The results… 98% of people that utilized VicksVapoRub consistently for 3 to 12 months said that they do not recommend this form of treatment to eliminate nail fungus. 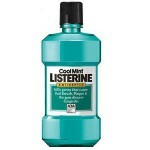 Listerine – Listerine is a mouthwash that is alcohol-based. Menthol, Eucalyptol, Methyl Salicylate, and Thymol are the active ingredients in Listerine. Watch out… I said it is alcohol-based! If you have any cracks on your feet, prepare for pain! Remember… I did leave some out… you can google and I’m sure find a much more complete list of everything that people use to try and rid of their toenail fungus. I figure though, why should I continue and waste your time. None of these are actually proven to work! You may feel like you see a temporary improvement upon initially beginning any of these treatments, but there is no way that you are solving the root or source of your problem! Even if mild improvement does initially occur, it will only be a matter of time until your problem re-manifests. Herbal and Natural Remedies for Toenail Fungus – Why Not Cure Fungus Naturally? 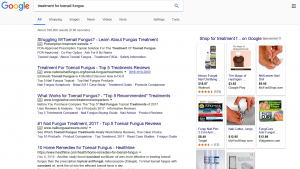 When and if you do perform your google search, you will also find that many solutions for toenail fungus that come up claim to contain “natural treatments”. So… this is sounding better, right? Why not cure toenail fungus naturally? These more “natural” treatments of toenail fungus remedies claim to easily penetrate the nail AND strengthen your body’s immune system. This, they report, should increase your body’s natural ability to fight off the fungus causing the infection. Also, “natural” means there are no pharmaceuticals or potentially harmful chemicals! These afore-mentioned claims are the reason that these natural fungus treatments are preferred by many. Many people even mix and match different amounts of a multitude of some of these natural ingredients searching for the perfect solution. 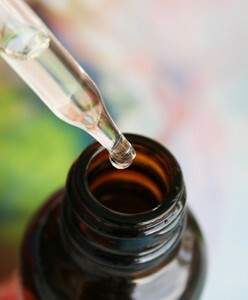 Oils and extracts are included within this category of alternative, natural remedies for toenail fungus. I have included a list of some of the most popular of these natural treatments. Some of my patients have mixed and matched different quantities and variations of these natural treatments. Believe it or not, some their solutions HAVE proven to be highly effective in treating their fungal toenails, but definitely not all of them… actually, not even most of them. In addition, some patients have applied once daily and others two and three times daily for time periods ranging from 3 months to a year! Which of These Natural Remedies Actually Work for the Treatment of Toenail Fungus? Let me begin by saying that not all natural treatments are created equal! And… most of these natural ingredients are not fully effective when we, as individuals, blend them – there is no consistent therapeutic dosage when we do this! Yes… I am a fan of natural treatments for the complete resolution of toenail fungus, BUT…. (you knew a BUT was coming) a therapeutic dosage of these natural ingredients is essential for complete resolution of this unsightly condition! How Do We Know Which Products Contain Natural Ingredients in the Correct Therapeutic Dosage? I can answer this question very easily for you! I have done my research and found not only one, but two natural products that I feel comfortable putting my name behind. The first is called Purely Northwest Foot and Toenail System and the other is called Zeta Clear Nail Solution! These are the ONLY two topical products that I ever recommend to my patients. The all-natural homeopathic ingredients utilized within both of these products are carefully mixed in proven, therapeutic combinations. This takes all of the guess-work out of the way. If I had to pick only one, Purely Northwest Foot and Toenail System would rank slightly higher than the Zeta Clear Nail Solution only because of price considerations and ease of ordering. Not only have I done my research, but as a podiatric physician who recommends these treatments to my patients (who desire a topical treatment) over any other prescription or non-prescription medication, I can honestly tell you that these products work! I do want to mention, also, that topical solutions are NOT your ONLY option in the treatment of toenail fungus. No… I am NOT talking about those nasty prescription pills with TONS of adverse side-effects! There is an awesome alternative to both topical and oral treatments… it is a portable laser device called the CureEx Laser! This is the other product that I commonly recommend and feel comfortable putting my name behind when I have patients that relay that topical products just aren’t their treatment of choice. Wow so much information here on nail fungi. I had no idea people use bleach to get rid of nail fungi, unbelievable knowing it’s a dangerous chemical. People must be really desperate to use these types of chemicals on any part of their body. On the other hand the natural remedies you have listed on your website are great. So far I’ve been lucky to avoid no fungi, if ever the need arises I will be sure to refer to your website. Thanks for the great article, I learned lots. Jagii…thanks so much for the nice comment! I do try to be thorough and leave nothing in the air regarding this nasty disease! Isn’t it amazing what some people will try?!?!?!?! Congratulations on avoiding nail fungus thus far in your life! Just remember… should you see any of the Symptoms of Toenail Fungus that it is in your best interest to begin treatment right away! Very informative article! I know a few people who have used Listerine but I didn’t know about the other ingredients. Luckily I didn’t have this problem but I know a few people who have it. I will refer your website to them. Hey Dira! Your friends will thank you for the referral! The products that I recommend to cure thick, yellow toenails really do work! Thanks again for visiting! Please don’t hesitate to ask any further questions! I am here to help! Its interesting to see the lengths that people would go to in order to get rid of it. I had no idea people would think of using beer!! Eww! Thanks for the tips, I will definitely try some because sometimes it can feel a little daunting walking into a chemist or health store and having to explain your information to them. Thank you Flavia for visiting my site! Yes…people go to great lengths to aid defects within their appearance! To avoid having to further embarrass yourself by asking questions in a storefront, I have several products that I whole-heartedly recommend for treatment of toenail fungus! 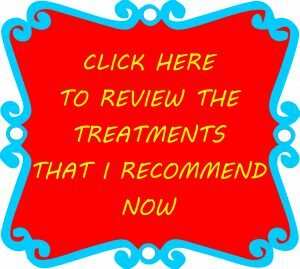 Feel free to browse around and find a product that fits your preferred form of treatment by viewing my recommended products. You will NOT be disappointed by the success of any product that I am willing to put my name behind! Not that ive had toe fungus but ive seen the posters in doctors offices and its something I cringe at. Im glad to see there are actually some helpful remedies out there to fix this problem. Im not sure if it hurts but it looks painful, as if the nail is deteriorating. Hello Jax! Thanks for visiting this site! As you read, there are a LOT of popular at-home remedies that attempt to treat this horrid condition. I cannot vouch for all of these, but I DO vouch for any of the products that I recommend for treatment. Yes…toenail fungus CAN become painful. If interested, you can read more on The Symptoms of Toenail Fungus or see if you have any increased Risk Factors of contracting this unsightly disease. Thanks again for visiting and should you have any questions please feel free to ask away below! Bleach?? Bleach! This kinda reminds me of hearing about how “ladies of the night” in the 1910s-1950s dealt with issues like sanitation – lysol! Lysterine! If you can imagine it stinging your toes, just imagine it stinging elsewhere. Thanks for doing the research and demystifying the home remedies and natural remedies that don’t work or don’t work well enough. Yes! You did read correctly! I have actually even had patients come in that reported soaking their feet in bleach. Needless to say… it did NOT work! As far as the natural home remedies go, I am definitely for using natural products! I truly believe that this is in the best interest of our total body health. But… as you read, the problems come with using the proper therapeutic dosages. Thankfully, scientists HAVE developed TWO tried and true products in the proper therapeutic dosage… ZetaClear Nail Solution and Purely Northwest Foot and Toenail System! I absolutely love these two products. They both really do work with no horrid side effects! Wow so informative and I didn’t know people used those harsh products on their skin and nails. I’m a firm believer that natural cures as the best. God has already given us everything we need from the garden. I’m also a big believer that if something is wrong on the outside then it needs treating from the inside too. Mostly, our problems start from the gut, and 9/10 it’s mineral deficiency and what we eat or don’t eat. Hello Sharon and thank you for visiting my post titled “Popular Home Remedies for Getting Rid of Toenail Fungus…”. And yes… I have patients tell me about their experiences with these toxic products all of the time. I, too, LOVE utilizing all-natural products for any medical condition… including toenail fungus as there are natural products available that are even more efficient than the prescription medications out there. I know that you mentioned that you like not only help on the outside, but on the inside as well. Well… one of my top three recommendations to cure toenail fungus does just that! You not only treat the toenail with an all-natural topical solution, but… you also spray and oral homeopathic spray under your tongue which will aid in fighting this nasty condition from the inside. This product is call Zeta Clear Nail Solution. You can read all about it by clicking HERE.